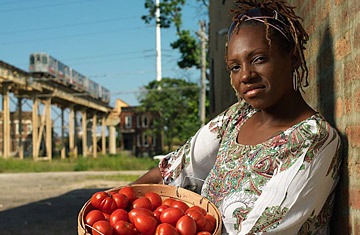 LaDonna Redmond considers opening an organic-food market on Chicago's South Side the act of a freedom fighter. After 10 years of having to drive across town to find produce free of pesticides, the veteran community activist recently opened Graffiti and Grub, a for-profit market staffed by inner-city youth who also work on urban farms in an employment program run through the store. "There aren't enough of these choices in the South Side," she says, adding, "Everyone deserves healthy food."